MWPVL International works in partnership with supply chain technology companies to provide industry insight as a critical input towards the development of a cohesive marketing strategy. Many supply chain technology companies have an excellent understanding of their product and technology strengths but are challenged when it comes to developing a marketing strategy that translates directly into successful sales growth. MWPVL International provides can assist companies with the development of marketing materials based on an effective customer-facing perspective. We also provide industry presentations at many top supply chain events and can be hired to support your company’s user conference. Which markets should our company target for each of our technology solutions? What is the potential size of the each market? What should be our company’s marketing investments to maximize the effectiveness of our budget? How should our firm distribute marketing materials to maximize mind-share? What type of message needs to be articulated to reach our company’s target markets? How can our firm ensure that the customer understands our value proposition in their terms? Is our company’s web site effective and how can it be improved? What gaps exist in our technology applications that are the most critical to address and why? How can our firm best close these gaps to address the needs of the market? 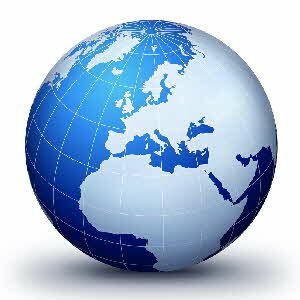 MWPVL International Inc. is a full-service global Supply Chain, Logistics and Distribution Consulting firm. Our consulting services include Supply Chain Network Strategy, Product Sourcing Strategy, 3PL Outsourcing Strategy, Purchasing and Inventory Management, Distribution Center Design, Material Handling Systems, Supply Chain Technology Advisory Services (WMS, TMS, LMS, YMS, OMS, DMS, Purchasing, Forecasting, Slotting), Lean Distribution, Transportation Management, Distribution Operations Assessments, Warehouse Operations Consulting and much more.